M83 이 참여 한 영화 Oblivion 사운드 트랙이 4월 발매 된다. 영화 분위기와 잘 맞는 듯?? 아래는 영화 공식 사이트에서 나른 소식. 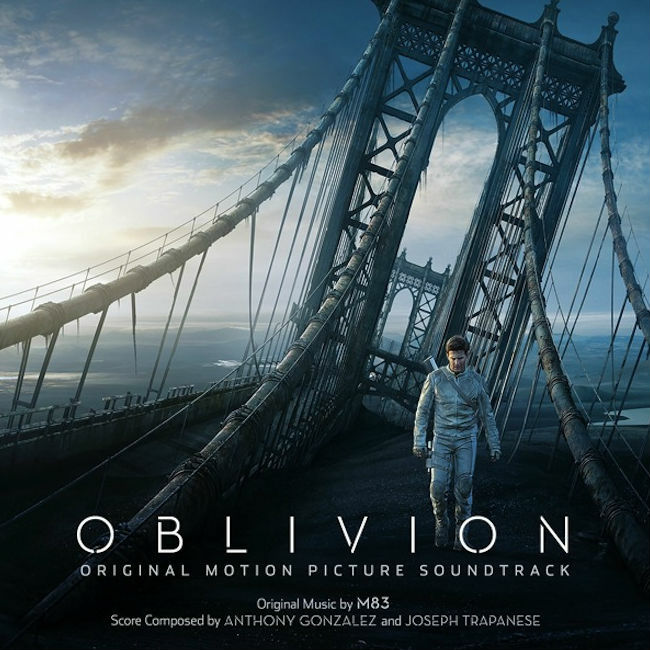 The OBLIVION Original Motion Picture Soundtrack features new music by Anthony Gonzalez of M83 and Joseph Trapanese (TRON: UPRISING, THE RAID). The score features a hybrid of the traditional M83 electronic sound combined with sweeping orchestral elements. The soundtrack has 16 score cues along with a brand new song by M83 featuring Norwegian singer-songwriter Susanne Sundfør, which is the end title for the film. M83 was formed as a musical vehicle by Anthony Gonzalez in 2001. Over the course of the next 10 years Gonzalez released six albums under the M83 name, including, most recently, the Grammy-nominated album 'Hurry Up, We're Dreaming' (2011). The supporting world tour for 'Hurry Up, We're Dreaming' lasted more than a year and saw Gonzalez enhance the growing reputation for the variety and excellence of M83's live performances. Though having worked in his native France for the majority of his career, Gonzalez had relocated to Los Angeles in 2009, in part to aid his desire to undertake score work for film and television. Various introductions were quickly made, and it was less than a year later that Gonzalez was approached by Joseph Kosinski with the offer of a commission for his forthcoming film, 'Oblivion'. Joseph Trapanese's love of classical music and electronic sound began at a young age. The duality continued through his formal conservatory training in New York, where he juxtaposed performing in Carnegie Hall and other major New York concert venues with scoring films, contributing to theatrical productions, performing with jazz and Latin bands, and writing experimental and interactive music. Upon arriving in Los Angeles, the seemingly parallel tracks began to come together, leading to collaborations with artists for several of the most anticipated soundtracks of recent memory: from Daft Punk (TRON: Legacy) to Mike Shinoda (The Raid), as well as M83 (Hurry Up, We're Dreaming and Oblivion) and Moby ("Extreme Ways" from The Bourne Legacy). A versatile composer and orchestrator in his own right, he has lent his unique sound to productions such as "Tron: Uprising," "The Bannen Way," and "Dexter," as well as numerous independent films and theatrical productions.